One of the easiest and most healthful ways to nourish our bodies is to follow the tradition of our ancestors of utilizing the whole animal when we cook. One wonderfully economical and nutritious way to do this is by making bone broth. Broths are ideal food for us as they are very easy to digest, and our body has to expend very little effort to utilize the nutrients contained within them. Bone broth, in particular, contains an astounding assortment of beneficial factors such as calcium, magnesium, phosphorus, silicon, sulphur, collagen, the building blocks for glucosamine and chondroitin, essential amino acids, and many other highly absorbable nutrients and trace minerals. Additionally, the nicest part about getting our nutrients from a natural source, such as bone broth, means that we are also getting any supplemental, perhaps as of yet unknown, co-factors needed to support the digestion, absorption, and metabolism of the primary nutrients. This is especially true for bone maintenance and regeneration. Another unique aspect of bone broth is that it contains marrow, a very nutritious substance rich in omega-3 fatty acids. In Chinese medical theory, marrow is considered to be an extraordinary substance that nourishes our deep development, growth, and our jing. Jing, in Chinese medicine, is akin to our life essence – the reservoir from which we draw energetic sustenance during our entire lives. By supporting our jing with smart dietary choices, we can make sure our reserves don’t easily run low, and that we always have the energy we need to take care of everything that’s required of us in our busy lives. 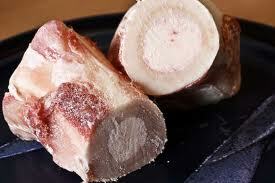 Place bones (and vegetables if you are using them) in a soup pot and cover with water by two inches. Bring to a boil, cover, reduce heat to simmer, and let the broth simmer from 12 – 24 hours for chicken bones and 24 – 72 hours for beef bones. As the broth cooks, scrape off the foam that rises to the top. Once cooking is complete, remove the bones and vegetables with a slotted spoon, and refrigerate the broth so the fat separates and solidifies at the top. Scrape off some of the fat, but not all, as saturated fats help the body to assimilate minerals and vitamins. 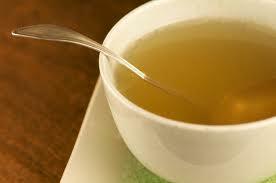 The broth can be refrigerated for several days or frozen for several months. I like to freeze the broth in ice-cube trays, making it extra easy to use in recipes throughout the next several months. Bone broth combines really well with miso for an extra nutritious soup or stew, but you can season this broth however you like. You may also use a crock pot to make this recipe even easier! Remember, when you take the time to make this broth, you are nourishing and supporting yourself at the deepest level possible!